Recently Believe UK have been travelling to some global hotspots to keep in touch with the industry’s goings on. There have been many conferences happening over the last few months and certain members of our team have been attending to share their thoughts. 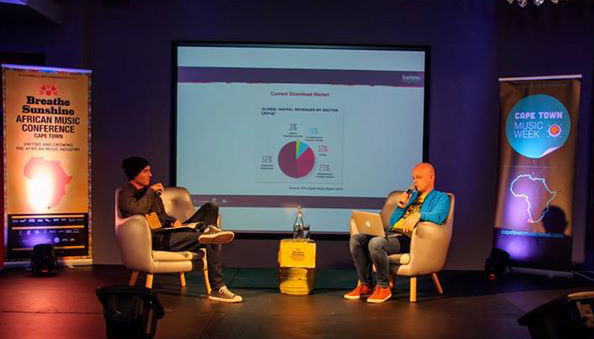 Leigh Morgan, Director of Trade Marketing recently attended Breathe Sunshine African Music Conference, while he was there he lead a Keynote interview discussing streaming vs downloads and how the industry is changing. During the conference there were various panels and interviews based around topics like streaming, artist brand and image, music partnerships and the state of the Cape Town music industry. Also, Stephen King our Chief International Officer recently spent a month in Australia and New Zealand attending various conferences. In August Stephen landed in Auckland attending Going Global Music Summit discussing The Digital Service Environment. Following on from this Stephen then attended Big Sound, discussing Digital Distribution in Brisbane. Also commencing today, Amsterdam Dance Festival. Attending from our UK office will be, Lee Morrison General Manager, Tom Coulling Head of Electronic Sales and Leigh Morgan Director of Trade Marketing.